Pinterest is amazing, huh? I see some of the cutest stuff on Pinterest and I love when I get around to trying my own version of these creative ideas. 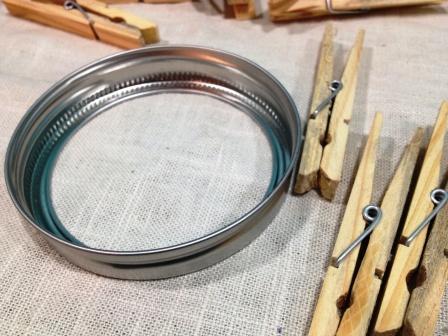 One idea I’ve been wanting to try is making a candle holder out of a tuna can and clothespins…. except I think using a tuna can is sort of icky. Don’t get me wrong, I love tuna — but I think I would forever convince myself my candle would smell like fish, so that is a no go. I made a project out of a mason jar that I haven’t shared with you quite yet ( it needs one last thing that I can’t seem to find anywhere! ), but because of that project I had an extra lid lying around. Perfect! 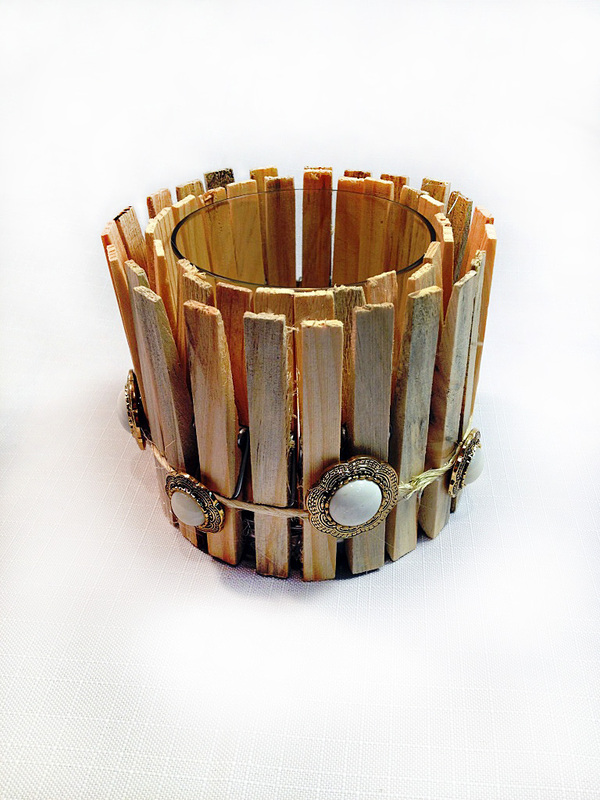 I wanted to make a permanent candle holder, so I pulled out my hot glue gun to make sure no clothespins would fall of this bad boy. 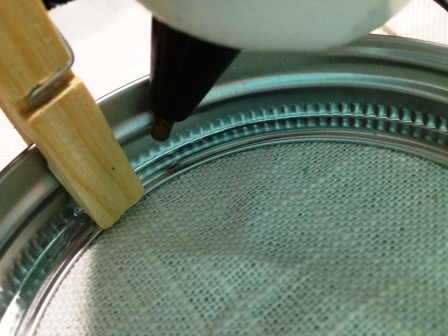 I placed a bead of glue on the inside rim of the lid, then popped the clothespin on top. Once it dried, I did the same thing on the outside. 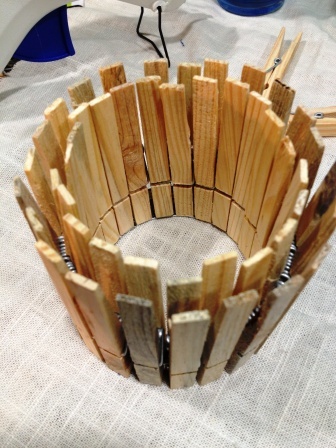 More than 30 clothespins later, I had a nice form for my candle holder. 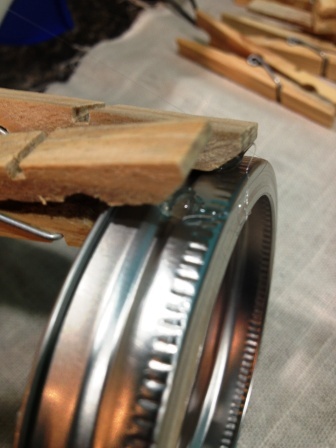 Time to embellish — I pulled out my roll of twine and carefully glued it in the naturally created ring in the middle of the clothespins. 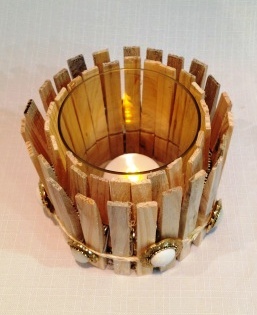 As a final touch, I added gold buttons around the twine and a small, glass tea light holder. Voila! 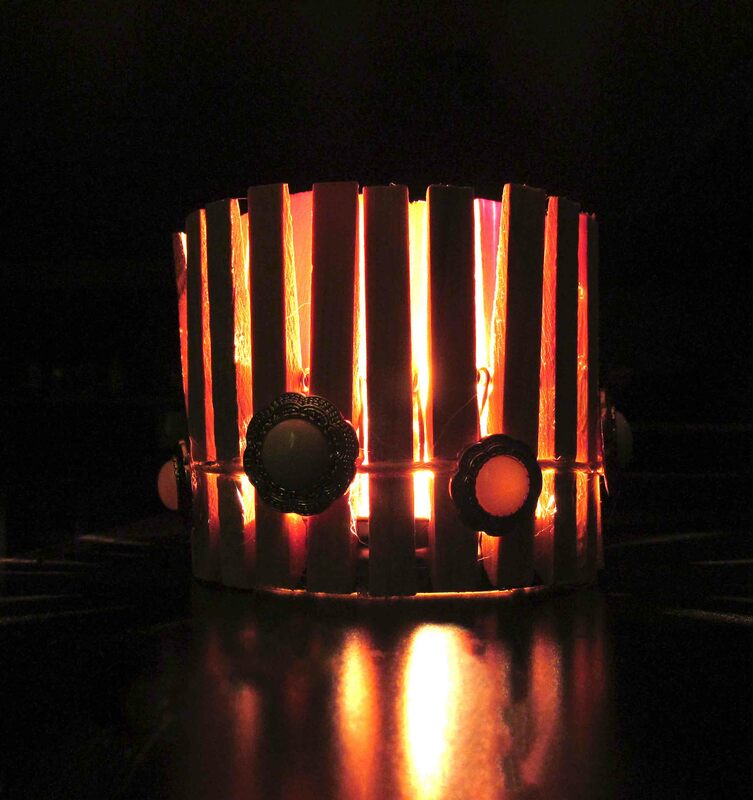 The fun thing about this candle holder are the shadows it makes on the wall and ceiling. 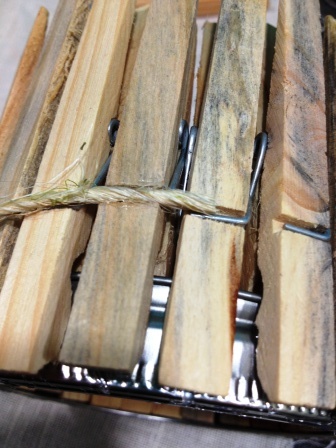 I also like the rustic look that the clothespins give off.